Marvel’s Jessica Jones showrunner Melissa Rosenberg recently revealed via Variety that for the next installment of Netflix’s smash hit, will feature only female directors to helm all 13 episodes of Season 2. While we wait for a list of the directors working on Jessica Jones, I created a list of some of the women I’d like to see at the helm of the second season of the series. Australian native Jennifer Kent made her directorial debut with The Babadook, showcasing her deft ability to explore emotion through horror. Many aspects of Jessica Jones could be classified as horror; Kilgrave’s (David Tennant) rampant brutality and manipulation throughout the first season is terrifying and often painful to watch. Kent has the potential to amp up the horror elements of the show and generate an emotional investment in villains to come–a task that may be tough for other directors to accomplish, considering the intense intimacy of Kilgrave and Jessica’s relationship in the first season. As the director of Twilight, Catherine Hardwicke has also proven that she knows how to work with a hugely popular fantasy series in a way that stays true to the mood of the original source material. That’s an often difficult task for a director when taking on a cult-classic book series, running the risk of alienating readers by straying too far away from the work in the movie adaptation, or pandering to an audience in order to avoid upsetting die-hard (in this case, Twihard) fans. Hardwicke could lend that sensibility to the MCU, navigating the extensive background of the Defenders storyline to tie the narratives of Jessica Jones, Luke Cage, and Matt Murdock together in a more cohesive way. Andrea Arnold’s directorial style is honest and lived-in, allowing audiences to be swept up in her storytelling. Her 2009 film Fish Tank, a coming-of-age story about a headstrong London teen, handles themes of sexual assault and violence without being heavy-handed. Her true-to-life touch would be a perfect match for Krysten Ritter’s unflinchingly raw portrayal of Jessica Jones. The gritty and flawed depiction of New York in Jessica Jones could be made even more nuanced by Reed Morano, known for her cinematography work on intimate indie films such as The Skeleton Twins and Kill Your Darlings. Recently making her directorial debut with the drama Meadowland, Morano could really elevate the visual elements of Jessica Jones, allowing us to dive even deeper into a character’s physical and emotional spaces. In Pariah, Dee Rees exemplified her skill in constructing an emotionally complex narrative that sidesteps Lifetime Movie-of-the-Week tropes. Having directed an episode of Empire, Rees is no stranger to drama, but her insightful character development and methodical pacing would fit well into the tone of Jessica Jones. 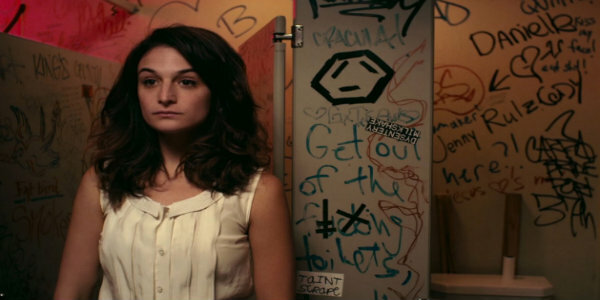 Gillian Robespierre’s 2014 film Obvious Child was an anti-romantic comedy, and while having a comedy-focused director work on Jessica Jones could be a strange choice, I think Robespierre could bring an interesting perspective to the show. Jessica’s tongue-in-cheek one liners add a dose of bitter humor to the otherwise dark story, but it would be great to see Robespierre’s direction highlight Ritter’s comedy chops.